Dream Addendum: So Many New Dreams…Could They All Be For Me? On Wednesdays we are thrilled to fling open the doors to all of YOU! We love hearing your dreaming stories…the lessons you’ve learned, the roads you’ve walked, the dreams He’s planted in your hearts! Today we are excited to welcome Jacquelynn Marie to God-sized Dreams. She is sharing a little about how God continues to reveal new dreams to her. Thanks for being here today, Jacquelynn! When I first began my dreaming journey, I was a starry-eyed recent college grad playing in Manhattan and contending with a horrific shopping habit. I knew my heart wasn’t ready to live in that big city at 22, but me and the Lord knew I would come back one day. That dream quickly faded in my rearview mirror once I began serving in full-time ministry as a senior pastor’s assistant in Las Vegas. I loved serving, outreaches, planning and everything in between; my heart was delighting in the Lord and I was so content to stay there. I didn’t even like Las Vegas, but I loved my calling! Just when I thought my life was too fabulously blessed, the Lord decided that I was focused enough on Him to move to New York. 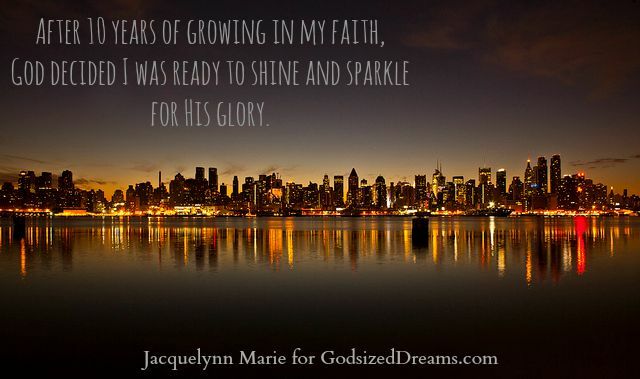 After 10 years of growing in my faith, God decided I was ready to shine and sparkle for His glory. You have no idea how excited I was to get here and then work in the beauty industry…talk about an unreached people group! God is showing me so many beautiful things as I pray, work, minister and seed-plant; but what I did not expect was all of the extra dreams that would unleash in my heart and mind after this big leap of faith to the east coast. Lord, I thought New York was it! Now as ideas, ministries, plans and other joyful thoughts unfold in my head, I find myself asking the Lord if we are making an addendum to my original dream. Am I adding all of these other things to the mix? Or are these dreams for later, just as New York was a dream for the future 11 years ago? As my New York dream morphs into seven other additional dreams, I know where my mind and heart need to reside and dwell…in the shadow of the Almighty and in the secret place of the Most High. So when that next addition and addendum come to mind during prayer, I will not fret or get nervous, but trust in the One who makes all things possible! Jacquelynn Marie moved to New York from Las Vegas where she worked as a Senior Pastor’s Assistant at a local church that brings the gospel to ‘Sin City’. She loves ministering to girls of all ages, crafting, working out, baking, missions, serving, shopping, traveling and adding pink, bows or glitter to anything she comes into contact with. Jacquelynn has embarked on a journey of faith that has taken her from the West coast all the way to Manhattan to be a light in dark places in the beauty industry. 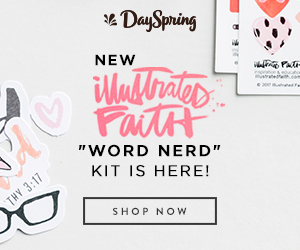 She currently has three devotional websites to encourage women to shine for Jesus as Matthew 5:16 states. 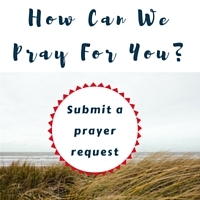 You can follow her many adventures with the Lord by reading her weekly devotional blogs at iSparkle for Jesus and link to iShine in Ministry and iSparkle Teens from her debut site. Jacqui this is amazing! We are so blessed to have you in NY. Thanks Jacq, beautiful word. Thanks for sharing and encourage us. God continues to use you and being the light you are… His perfect time. Need to hear this constantly.